Explore pristine waterways, beaches, wonderful birdlife and soaring views of Virginia's Eastern Shore. Paddle with the Authors of "Kayaking for Everyone," Bill & Mary Burnham of Burnham Guides, take a tandem flight with Virginia Hang Gliding, and rest easy at the cozy Spinning Wheel B&B in historic Onancock. 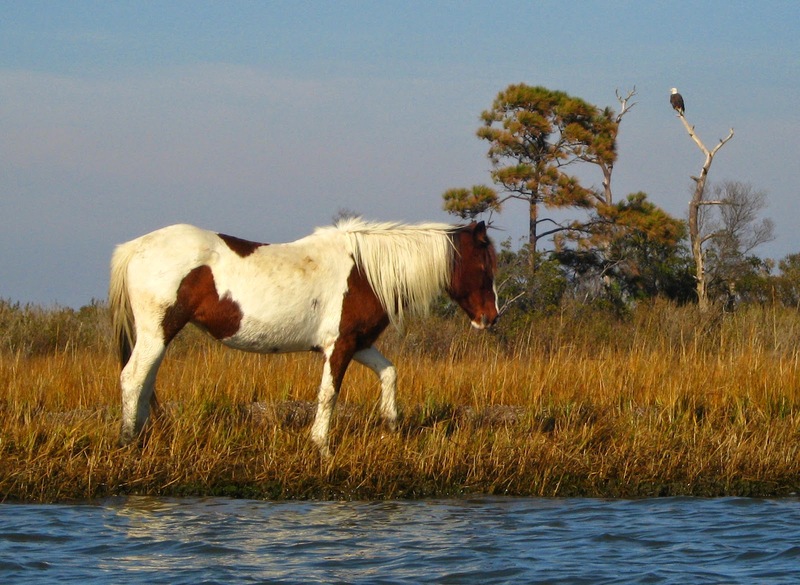 Day one: Burnham Guides takes you places few know exist: pristine creeks with histories dating back to John Smith's encounters with Native Americans; remote, wild barrier island beaches; wonderful birdlife, both migratory and nesting. Destinations depend on weather conditions, customer's experience, and availability. All gear is included; all trips include a beginner kayak lesson, or an advance strokes and balance course for more seasoned kayakers. Day two: Fly like a giant bird and experience the beauty of the Eastern Shore from several thousand feet in the blue sky. Professionally flown by an experienced, licensed hang glider pilot and safely enclosed in a state-of-the-art harness and glider, you will be towed into the sky by a specially designed airplane and released to enjoy flight in its truest form. Land back on the soft grass at our dedicated facility. Photos and a video of your flight are also available. Add this to your "Life List" and come paddle the sky with Virginia Hang Gliding. Lodging: The Spinning Wheel B&B is your comfortable "base camp" for your air/sea adventure. From this historic, friendly home, you can walk or bike to all that this charming 1680 Colonial port has to offer: dining, shopping, art galleries and more. 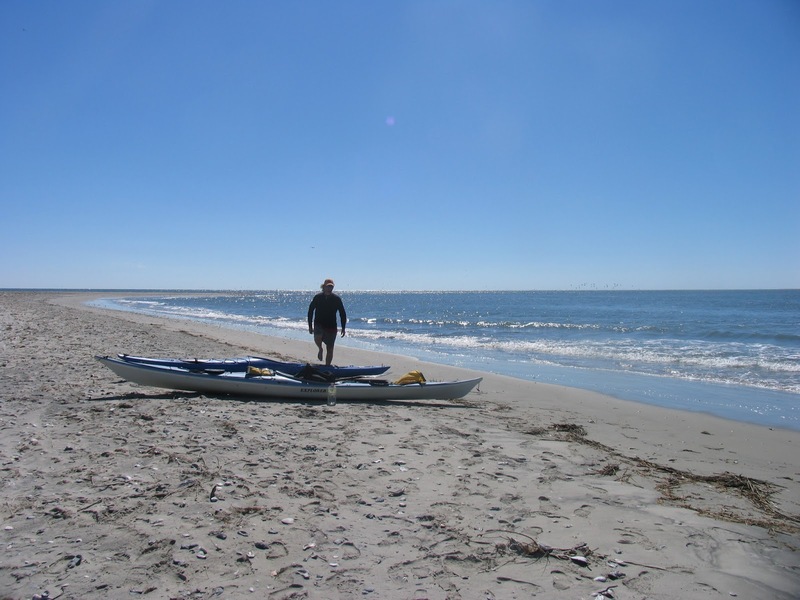 Experience a barrier island as few people do on a backcountry expedition with Burnham Guides. 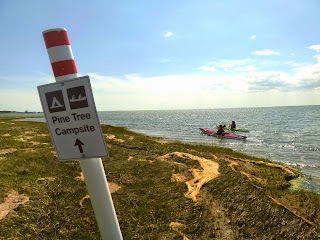 Join us for an unforgettable adventure paddling with the ponies and camping in the pines. The first trip is May 26-29, 2015, with more dates available in September and October. 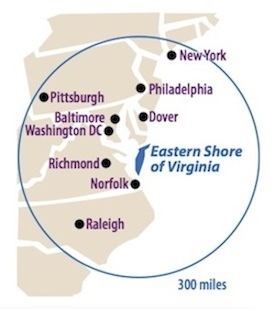 Less than three hours from D.C. on Maryland's coast, this national treasure celebrates its 50th anniversary this year. Famous for its wild horses and white sand beaches, the 37-mile-long barrier island also offers paddling through bayside marshes, hiking in maritime forests, and remote backcountry camping. As always, Burnham Guides take care of all the details for you, from gear to healthy meals, unmatched guiding services and extras like yoga on the beach. 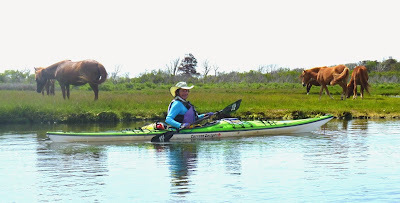 Trips are fully-outfitted, and include sea kayaks, camping gear, meals and instruction. Other activities: Hiking, pony and birdwatching, yoga on the beach, and optional stand-up paddleboarding (SUP). 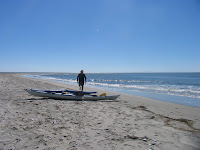 Discount for bringing own sea kayak and/or camping gear. Next trips will be scheduled September through mid-October. Email mary@burnhamguides.com or call 305-240-0650 for more information or to book a trip. More details.